Manufacturer of a wide range of products which include acrylic polymer. As a noteworthy entity of this domain, we present patrons with the superior quality of Acrylic Polymer. 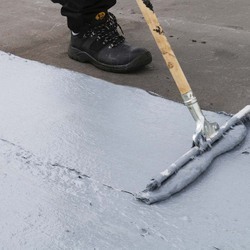 Used as water proofing admixture and bonding agents in cement modification, the acrylic polymer increases the 30% flexural strength of mortar by addition of 20% addition of acrylic polymer. With addition of acrylic polymer paste in ratio of 2:1, the bond strength of the mortar increases by 50%.